I’ll start with the meeting house called Wairere (meaning flowing water). 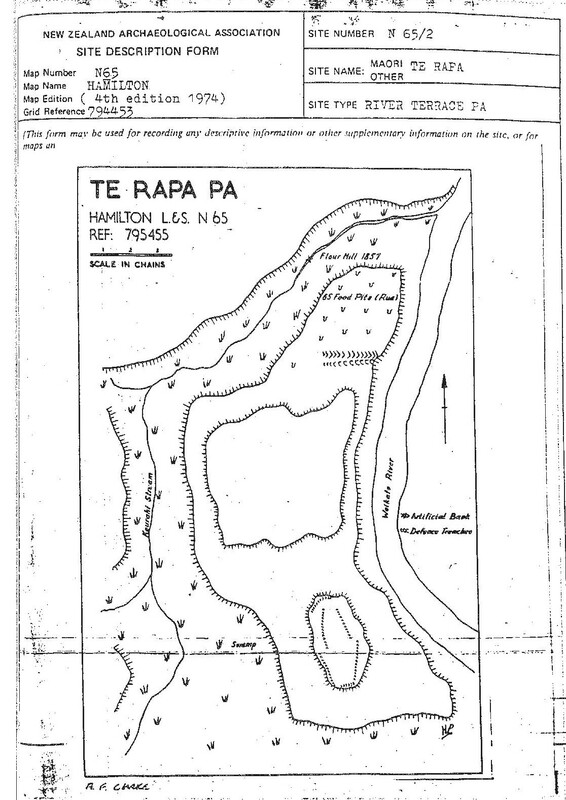 What we know is that “one of the Chiefs responsible for building the meeting house called Wairere at Te Rapa Pa” (p57*) was Porokoru, who was “one of the last chiefs to occupy Te Rapa Pa” (p56*) and another was Pirihi Tomonui (died 1891). “He was responsible for the dismantling of the large meeting house, named Wairere, which stood at Te Rapa Pa, now Cobham Drive” (p31*). What I would like to know is whether any of it survives as photographic records or as fragments of the original building. 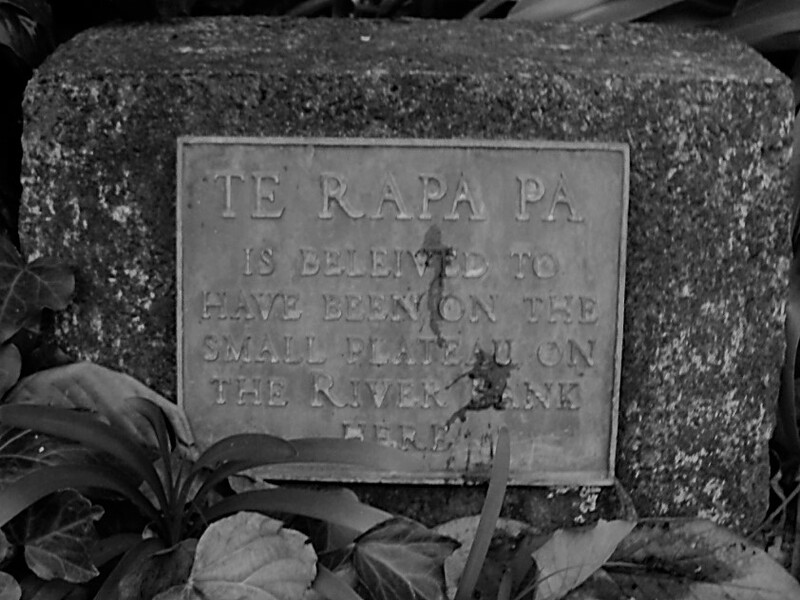 The location of Te Rapa Pa is south of the Kirikiriroa Pa, in the area now known as Graham Park, on Cobham Dr, and Yendall Park, which is near Waikato Hospital. The people living here were Ngati Koura and an early important resident was the warrior chief Hotumauea (a relative of Hanui) and later his descendent Parengaope (born 1765), who was the mother of the first Māori king. I also have a scrap of paper titled ‘Hamilton historical sites – Early industrial sites’ which adds more detail about the flour mill. More about the mill can be found in a book by H. Norris – Armed settlers: The story of the founding of Hamilton, NZ, 1864-1874 (page 17). To conclude, at the end of Park Terrace is one of six plaques placed in the city of Hamilton in 1964. 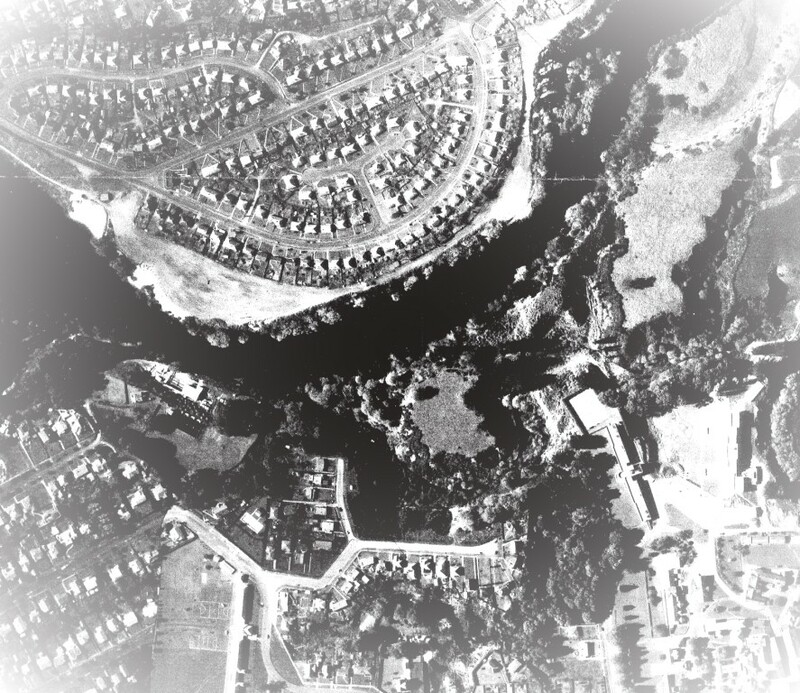 For more information, see the Waikato Times Hamilton Centenary issue, Monday, August 24, 1964: page 40 – Plaques mark historic sites.